How can I upload a CSV file to the dashboard? 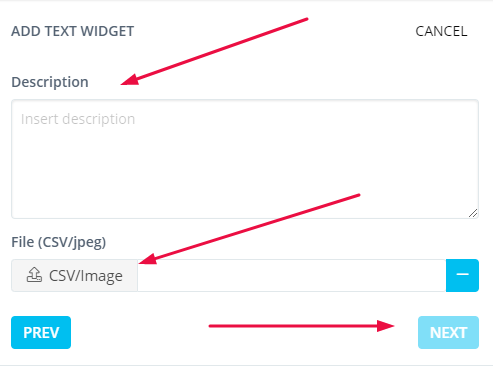 Learn how to upload a CSV file to your dashboard. 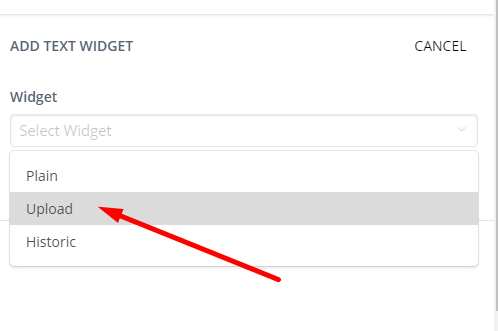 In the dashboard edit mode, go to the right sidebar and in the “Add Text Widget” segment, select Upload and hit Next. In the next step, select your CSV file, and if you wish, you can add a widget description. You can also upload a historical CSV or image file, which will be set only for the specific time frame.